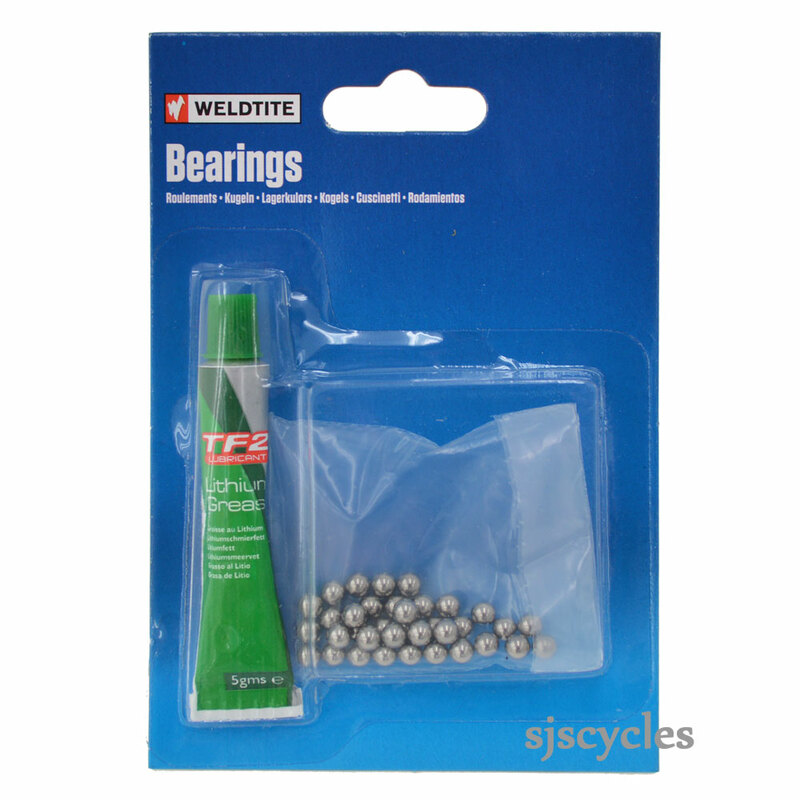 Pack contains 5gms tube of white lithium grease and 24 loose ball bearings. Good product comes with sufficient grease and the bonus of extra balls just in case some go astray when packing hub. Would recommend and would buy again from this supplier. Nicely package, speedy delivery, low postal charges, excellent product with proper lithium grease and sufficient bearings to replace the rear wheel with some left over. Full marks both to Weldtite and to SJS Cycles.